Zack has been involved in fitness as an athlete since his youth. He has competed in basketball, baseball, dragon boat, marathon runs, triathlons, and obstacle course racing. He also has a long history of teaching dance and martial arts to youth and adolescents. From his experiences, he knows how to be a team player, how to be adaptable, and how to be responsible for his position on a team. 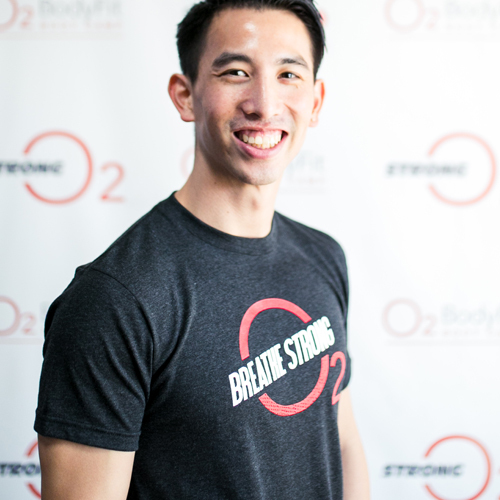 He hopes to use his vast knowledge and background as an athlete to assist and influence others’ lives through fitness as it has impacted him in all aspects of his life. Zack continues to live an active and healthy lifestyle daily. He loves trying new and different types of training that he can integrate into his own fitness routine to keep his workouts fresh and exciting. It has allowed him to assess exercises that are effective and most beneficial for his own personal goals. From his fitness trials, he’s learned how to individualize training for each of his clients and make proper adjustments for them that caters to their strengths. Zack wants to use his high energy and enthusiasm to help clients reach their full potential and become the best version of themselves.